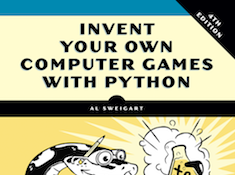 Invent Your Own Computer Games with Python will teach you how to make computer games using the popular Python programming languageÃ³even if youÃ­ve never programmed before! Begin by building classic games like Hangman, Guess the Number, and Tic-Tac-Toe, and then work your way up to more advanced games, like a text-based treasure hunting game and an animated collision-dodging game with sound effects. 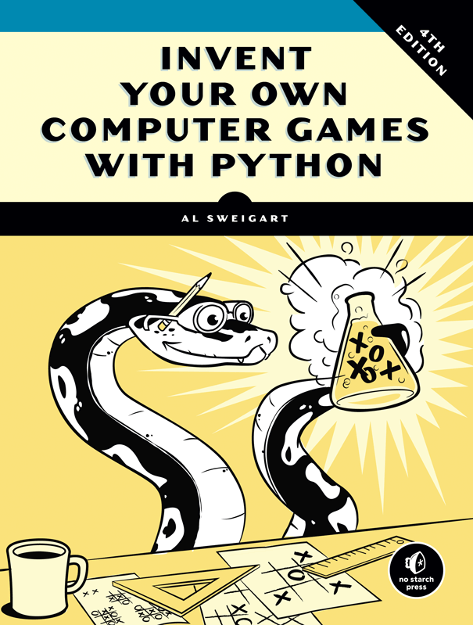 Along the way, youÃ­ll learn key programming and math concepts that will help you take your game programming to the next level.